Luckily, Pacific Springs is interested in protecting the health of others through fresh, clean drinking water and have the perfect solution. High-quality water coolers and purifiers that work to remove these unnecessary and toxic substances are not only a worthwhile investment towards your health, but to those around you. Isla from South Brisbane is very serious about avoiding anything toxic that may harm her or her husband and three children. She leaves no stone unturned when it comes to researching the best products to protect her family and when she came across Pacific Springs she was convinced she had found what she needed and now knows she was right. 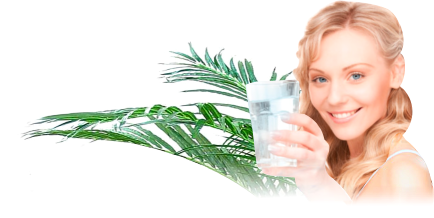 Everyone knows that drinking lots of water is extremely good for your health, but only if it’s not loaded with carcinogenic additives and toxins. Each day you drink tap water, you, your family and your co workers are ingesting these poisons and they accumulate in your body. But the water-purifying experts at Pacific Springs can help you ensure your water is free of anything harmful and good for you to drink. Don’t delay any longer and contact Pacific Springs for friendly advice on their products and services. Your body will thank you for it. This entry was posted in Water Coolers and tagged filtered water, water coolers, water filters by Teala. Bookmark the permalink.